Medium-duty boxes offer 25 percent greater stacking strength than other brands plus the most secure box closure available. Ideal storage for inactive files, works with or without shelving units. FastFold One Step Set-up makes box assembly fast and easy. 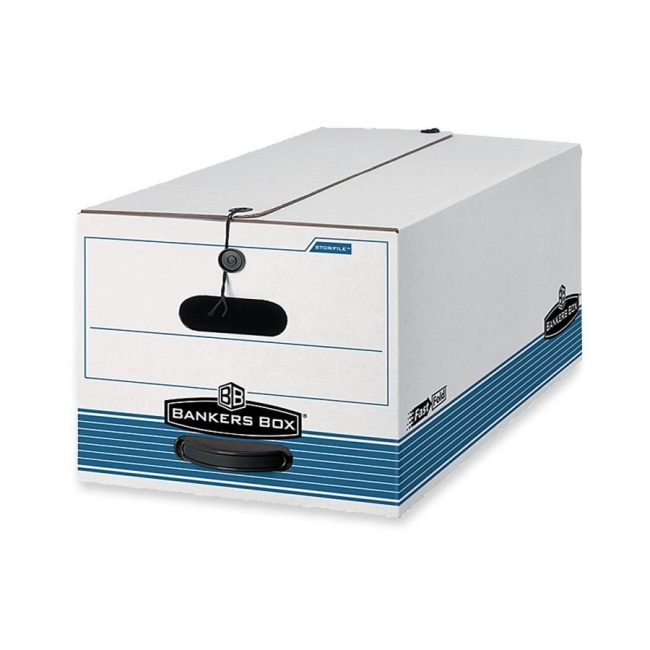 Maximum security box with string-and-button closure keeps contents secure, even if box is overturned. Built for moderate use and high stacking needs. Ideal for occasional access needs. Stacks up to five units high. Average amount of evenly distributed weight that can be safely stacked on top of box is 550 lb.